Canon EOS 70D vs 7D Comparison, What's the difference between them? Home / Digital Camera Comparison / Canon EOS 70D vs 7D Comparison, What’s the difference between them? Canon presented yesterday the new and acclaimed EOS 70D, an APS-C camera dedicated to camera lovers. This body substitutes 60D in the Canon range, positioning itself between the Rebel T5i and the 7D. While the first is a fairly recent entry-level model, it is slightly changed with respect to the previous T4i and T3i. The 7D is an older model, with 4 years of age. However it belongs to a much superior category. Now it still is one of the best APS-C on the market, incredibly popular amateurs and professional, both in fields of photo and video. It has become even more attractive now that great deals can be found when buying it used. As long as the 7D model is not updated, which it’s presumed to be done by the end of 2013 and beginning of 2014, the 70D will have more space for action and will be better able to appeal to the taste of experienced amateurs with some new important features offered that the 60D doesn’t have. These are: Weather sealed body, better performance of AF module, higher ISO extension, faster burst, new menu with intuitive touch screen, and the revolutionary sensor with Dual Pixel CMOS AF. Canon currently has 18MP sensors in the 7D, 60D, T4i, T3i and T2i. Finaly, The 70d offers 20.2MP resolution, The EOS 70D’s best attribute is undeniably its distinctive dual pixel sensor that could possibly improve the live view that it once had and video speed by as much as five times. And that was the best feature of the 70D. The 70d has 20.2 MP resolutions, but it utilizes 2 photodiodes for each individual pixel. They face left and right so that they have on chip phase detection. This will greatly improve the autofocus for both live view and movie recording. For instance, Canon states that the EOS 70D has the ability to focus in on a face when the person is going from one place to the other, even when you are trying to film with a fast lens at big apertures. The Dual Pixel CMOS AF is based on based detection sensors, and it is designed to provide a smooth focus and video of high performance. It also has a fast autofocus when shooting pictures in Live View mode. It is ideal for the development of professional looking “pull-focus” effects, for keeping a subject movement towards the camera always in focus, while keeping the background blurred. EOS Movie allows the user to capture video with a shallow depth of field, but a certain level of skill is necessary to obtain an accurate focus. The Dual Pixel CMOS AF has been developed to make it easier to shoot video and control the focus capability when the subject is moving across the frame. With Dual Pixel CMOS AF, the management and control of the focus in video mode is faster and easier than ever. As it ensures that it verifies there are no errors in the in the focusing while the action takes places and the subjects are moving within the frame. Dual Pixel CMOS AF comes in handy when photos are taken in Live View mode (it is framed with the LCD display): fast autofocus, similar to speeds available when using the viewfinder. This camera has extra power to process, which means that it has a frame rate that is always shooting(burst) and also can do better at correcting noise via signal processing. Where the EOS 60D had a burst mode speed of 5.3 images a second, this is boosted up to 7fps in the 70D. When it comes to data throughput, the 70D may be better, but its continuous shooting speed is not as fast because it has a higher quantity of sensor MP. When it comes to the RAW image buffer, the 7D is better because it has a V2 firmware that was added on last year. It expands the last 15 RAW images to 25 RAW images. The 16 images that the 70D has is somewhat okay, but the 7D will be much better for those who want to shoot plenty of sports photos and have to have RAW. Keep in mind that a majority of professional sports photographers with deadlines use JPEG. The EOS 70D is the second of Canon’s SLRs that have built in Wi-Fi. This is not surprising because it is almost the same system that the EOS 6D has. It has a good range of features and unique setup flexibility. You have connection to other devices by utilizing a current Wi Fi network or you can connect to it directly. Also, it saves up to 3 setup profiles for fast recall. For instance, one can connect directly to your phone for your use out in the field. And you can use the other for your tablet and another one that will connect to your computer via your Wi Fi at home. One thing that the 70D has that the 6D doesn’t is that it has a touch screen, which makes setup much simpler. It can print from a printer that has Wi-Fi capability. It views pictures on devices that have DLNA. When you use the free EOS Remote app and connect the 70D to your Smartphone or tablet, you can utilize it as a remote control. This gives you the power to set the focus point that you want, have a continuous live view and control things such as the shutter speed, aperture, ISO and exposure compensation. You can look at your pictures and rate them. You can also transfer them to decreased resolution so that you can look at them and share them with others. On chip phase detection has been around for a while. It was first introduced in 2010 with a well known Fujifilm F300EXR model. It has been used time and time again by other manufacturers since its introduction. It has undeniably had the most success with the mirrorless cameras at Nikon. However, even up until now it does not use that many pixels on the sensor. It has been limited and has only covered a limited section of the frame. It used to struggle when the light dropped less than regular daytime light levels. Canon claims that it has a Dual Pixel AF system that is different. It supposedly operates over an area eighty percent of the frame in terms of height and width. It can also work in light areas that are as low as 0 EV and with apertures that are as low as F11. If this is true, then this might be the best option for live view autofocus system that is offered on any kind of camera. We have already mentioned the capability of shooting video. Canon EOS 70D enables shooting Full HD video with frames between 30 – 24 fps, or 50 – 60 at 720p, The new camera from canon is able to capture sound, by using an external microphone and a range of compression options for post-editing and sharing. Because of the Dual Pixel CMOS AF, the Movie Servo AF mode can track objects as they move around. It can even do it if the images are messed up or blurry. This makes sure that they are never out of focus. On the flip side, you can choose various focus section areas up to 80 percent of the frame by just a tap on the touch screen. This can be done even at the time of recording. This will ensure that the movie remains clear as a bell and if the object moves or you change the shot. If you like how the HDR looks but you do not like to spend a lot of time on the computer, then the 70D has a built in feature that you will really like. The EOS 70D has a variety of creative modalities. The HDR in-camera function eliminates the difficulties of shooting in troubling situations with high contrasts, blending three exposures in one to capture more details in the areas whether in light or shadow. With Multiple Exposure mode, the photographer can shoot and combine up to nine exposures into a single image, or use a range of creative filters to change instantaneously the style and appearance of the shooting. The integrated Speedlight wireless transmitter provides in-room and wireless control of multiple Canon Speedlite EX units. The 70d has an ISO range of 100-12,800 (expandable to 25,600) for shooting in lower-light conditions. The 7D is the first EOS camera with a 100 percent coverage and 1.0x magnification viewfinder specification. which can offer the photographer the exact perspective of how it will be fixed in the final image. The 70D can do 7fps in burst mode and the 7D can do 8fps, which is a difference of 1fps. Will this really be noticed? If you are not a professional photographer, then you probably won’t. This is a true statement because professional sports shots can be taken from a lot of different cameras from ranges of 3.5fps to 11fps. The 5D MKIII can shoot 6fps and it does not have a hard time shooting great sports pictures. So both cameras can be used to get great sports pictures. You could also get wonderful wildlife pictures too. For now the 70D vS 7D is a close battle but for the most part my recommendation is to go with the 70D. In terms of AF and speed it’s on a par with the 7D. It offers a slightly larger image and performs better at high ISO. Really the only advantage that the 7D has is 1FPS faster shooting speed, magnesium shell and a viewfinder that covers 100% of the image. Whilst I do love a 100% viewfinder, the 70D is 98% and likely this will not affect your image making abilities. If you really really beat your cameras up then the 7D might still be a better proposition but otherwise the 70D has the edge due mainly to the new AF mode for video shooting and also the handy swivel screen. still there are lot of people starving for food out there without money!! Rip off technology except medical advancement for life saving !!!!!!!!!!!!!! “All you are doing is compose.” First of all…English usage. Secondly, composition is EVERYTHING. I can shoot video with a RED, full manual Cine lenses, a paid focus puller, etc. and if I can’t compose a beautiful image with light and framing, it will be garbage, regardless of the technology/people employed. Stop being a digital elite douche, yes talking to you Andy. Go 7dII….with 11 FPS its a beast for fast moving stuff with the right glass. Real photographers dont need gadgets. Its not the camera that takes the picture its the person behind it. I prefer to think I created the picture. I am about to buy me a camera. So yes I would like to take photography up as a hobby. Question is which one? So entry level with lenses would be perfect. Which make and which size is my question. Stills is the first thing that I would like to do but video taking also if need be. Please let me have it from the experts! I cannot wait to learn and to go out and do things!!! I havd a 7d I love it just love it.. picture are clear n if u talking about video then go for a 70d but I still think 7d is better.. I have the 7d and my son has the 70d I think that the better way to look at this is that it just depends on what you want from any camera / device as all the bells and whistles can be useful or not depending on your needs , I was going to upgrade from 7d. To 70d and love the Vari-angle LCD but my 7d still gives me enough , so on that note I’m glad to say I’m keeping the 7d because it’s great all round but the next camera I want is going to be full frame so I’m thinking maybe 5d mk ii that should be a great step I’m sure ? If you are taking stills professionally. the 7 is the way to go. If you are taking a variety of shots, (stills and video) then the 70. I will love checking out the 7 mk2. I have a Canon 70D and I was wondering if it would be better to put money into a Canon 70-200 lens (already have 70-300 lens) or get the new 7D Mark II. I shoot the kids sports, landscape, and portraits. Late reply, but in my opinion, put your money into the glass. The 70D as a body is good enough, and has the same sensor as the 7D mk2. I’m not sure what 70-200mm lens you are looking at, but I’m still shooting with an old 30D (8mp sensor) and bought a 70-200mm f4L instead of a new body, and my shots are bright, razor sharp, and my shots are still getting published in local magazines and concert/event promo sites. I’ll upgrade the body in the new year (sale time!) but until then, I’m fine. I need to hv one of 7d or 70d,so I need to know wht to buy for a professional used.. I have owned the 7D, and it’s a great cam. But I have notice the the needs have expanded with the use of social media. If I’m reading right….I can post from the 70D?….if so…. I’ll be purchasing the 70…..and then focus on getting the 5D Mark III. I’m a beginner videographer and have had my 70D for a month. It is quite possibly the most beautiful piece of tech I have ever owned. It does exactly what I need it to do – shoot great video. The incredible stills the HDR delivers are simply a huge bonus. I respect the 7D and expect that the 7D MkII will incorprate all the 70D’s new technology, thereby reclaiming the 7Ds position as Canon’s flagship APS-C camera. Thanks Scott for the clarity. Both Danny D and Noles are both wrong, the 50d, 60d & 70d all have a 100,000 actuation shutter. The 7d is rated at 150,000 shots. The 7d is almost 4 yrs. old and is still a better Dslr in every way except for video than the 70d. Not true. I have both and the 70D images above 6400 process about 1/2 to 1 full stop better when done side by side. Again, not true. The 70 has several distinct advantages over the 7D. The 70D is better because it has a higher resolution, better noise and image processing, more accurate AF – dual pixel AF capability, 7+fps isn’t going to break you from the 7D’s 8. Better microfocus adjustment capability more common & compatible memory cards, built in wifi, an easier to see higher resolution articulated touch screen display just like todays smart phones, way better video & sound capture capabilities, deeper bracketing capabilities, 3 different ways to remote release the shutter including a smart phone, better battery life, etc.. The 70D does not have Shutter-speed priority or Aperture-Priority settings. If these are important to you, then the 7D is a better choice. If you shoot in Manual mode, then it won’t matter. Think twise before you say somethink that it isn’t true or better, read the Canon 70D manual at page 160 and 162 (http://tinyurl.com/nf2wpgr). Canon 70D has both the Shutter-speed priority an Aperture-priority settings. Thanks for a great summary ! It was really confusing trying to distinguish these cameras. This is really just an unhelpful regurgitation/comparison of on-paper specs – it tells the reader nothing about the Real World use of the cameras. But one thing that can easily be demonstrated is that the new sensor in the 70D has no Real World noise advantage over the 7D: just go to Imaging Resource, download some high ISO Raw files from each of the two cameras, convert them in a capable converter and then compare the results at the image level. The 7D is better than the 70D at high ISO, despite what this article has to say. What a stupid comment. The 60D is rated at 150k, the 70D is at least rated that and much better than the 7D. Thanks for help me to decide between 7d vs 70d, I”ll go with 7d. having trouble deciding between the 7d and 70d? Your forgot to mention that the AF system of the 7D has two modes that were not transfered to the 70D (spot AF and AF point expansion). The 7D also offers a lot more possibilities for the AF system in terms of customization. No it doesn’t but I’d love to hear how. Outside center point focus expansion spot AF which isn’t really necessary since you can use touch focus on any point on the live view screen and have the added reliability of Dual Pixel AF. 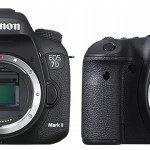 How about 70d vs 7d II ?